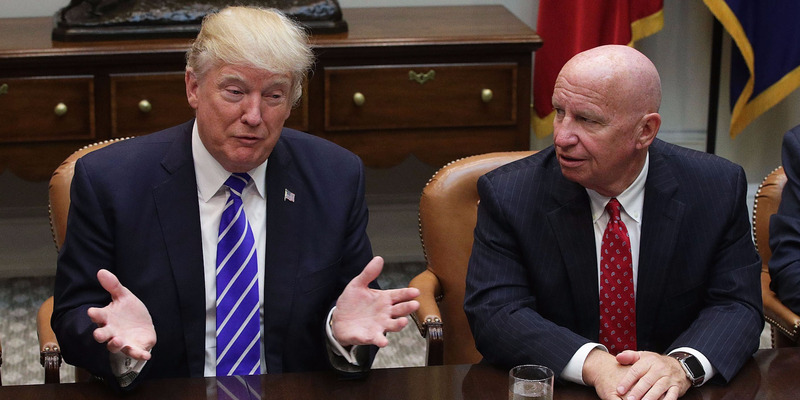 The House Republican tax bill is slated to be released on Thursday. One of the remaining questions is whether the biggest cuts will be permanent or temporary. According to reports, the huge slash of the corporate tax rate will not last outside of ten years due to budgetary rules. Republican leaders’ soon-to-be-released tax bill is shaping up, but there are still big questions that remain. One of the biggest issues in the tax bill that is still up in the air is how long some of the biggest tax cuts will last, particularly the massive cut of the corporate tax rate to 20% from the current 35% federal statutory rate. Republicans are planning to use the budget reconciliation process for the bill in the Senate, which would allow the bill to avoid a Democratic filibuster and pass with just GOP votes. One of the rules of reconciliation, however, is that the bill can’t add to the federal deficit outside of the budget’s ten-year window. This would make it incredibly hard for Republicans to make the corporate rate cuts permanent, according to Brady. Still, they’re going to try for a permanent cut. Brady did say that he was “confident” that the “pro-growth provisions” in the tax bill, including the corporate tax cut would be permanent. The difficulty of getting that permanent cut could be too much. According to reports, House GOP leaders are considering a temporary cut that would increase the corporate rate from 20% to 22% in the final year of the ten-year window. After that time, the corporate cut would expire and return the rate to the current 35%. Making the cut transitory, however, could depress corporate investment in long-term capital projects and mute the positive economic impact of a cut. The thinking is, if a company knows that they will only receive a short-term lower rate, then they would focus in investments that would come to fruition in the timeframe in which taxes will be lower rather than in long-term projects that may offer greater benefits outside of that window.